The Addams Family  sorry, not so sorry we couldn’t resist breaking out the Addams family theme tune, HA. With Halloween just over the horizon Poison Wednesday would be a matching fit for the season if Alex’s “Digital Death” art figure wasn’t on your radar. 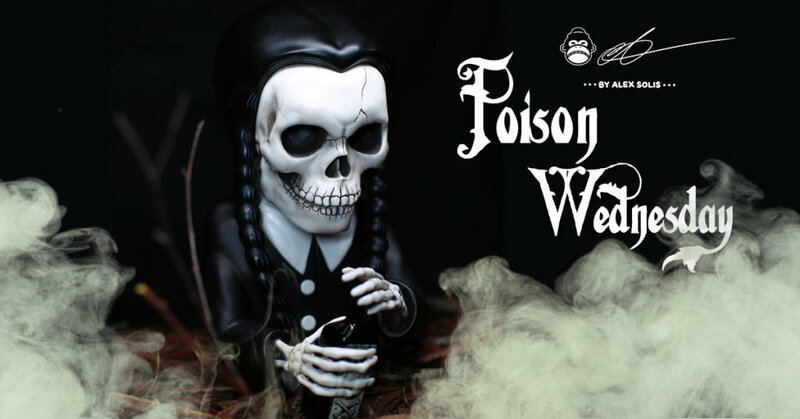 Alex Solis presents to you Poison Wednesday art figure which is limited to only 99 pieces. PRE-ORDER STARTS 19th September 2018 10am CST. 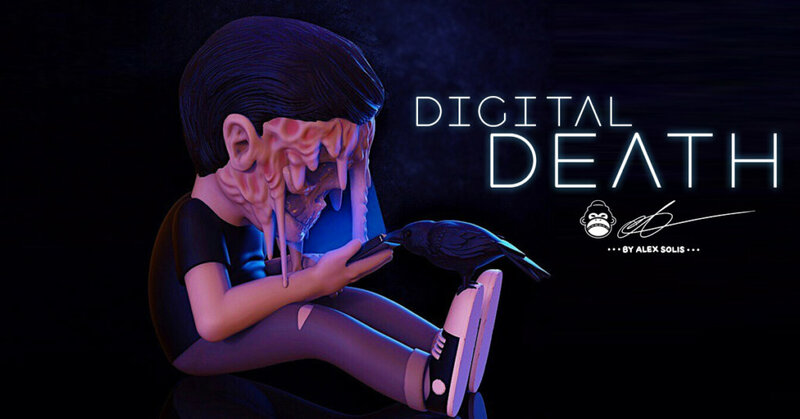 Digital Death dropping on the same day.